N&V Export, Import, Logistik GmbH is a forwarding and transportation company specializing in the provision of truck transportation services from western Europe to and from states in the CIS. 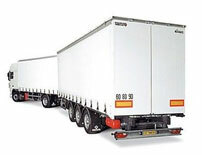 All transportations are covered by CMR insurance. For special cases where additional protection via goods transportation insurance is requested, we can provide such services.